Rich with the serenity of the suburbs and the convenience of the city, you’ll love our spacious Doylestown, PA apartments for rent. Regency Woods offers spacious townhome apartment floor plans and luxury amenities that are perfectly situated near everything the beautiful Bucks County region has to offer. Enjoy fine dining and distinctive Doylestown shopping in the midst of their eclectic architecture, and then tour the castle-like museums that bring the past to life while showcasing the county’s artistic heritage. Our Doylestown townhomes offer a great location with opportunities to experience the country charm and casual sophistication of nearby New Hope, where you can enjoy a romantic bed and breakfast and shop for antiques. 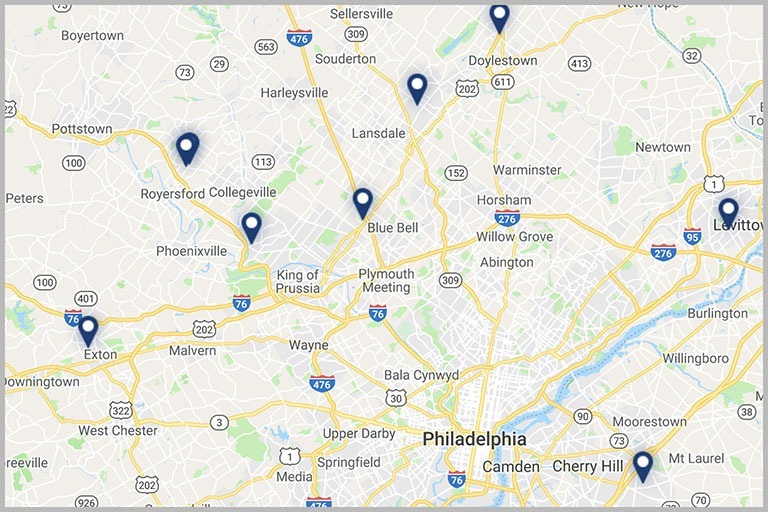 All of this while still enjoying your townhome apartment near Center City Philadelphia, Warrington and Horsham, PA, and Princeton, NJ. We also offer furnished and corporate townhomes that are available as short-term rentals. Regency Woods is owned and managed by The Klein Company, whose reputation for excellence in apartment management has been earned by combining skilled management teams with a company-wide emphasis on customer service. As a Klein community, Regency Woods assures its residents the highest standards of quality and responsive, caring property management. If you’re searching for Doylestown, PA apartments for rent, contact Regency Woods to schedule your tour today. Our Doylestown, PA apartments for rent offer two- and three-bedroom apartments with an array of luxury amenities to make you feel right at home. 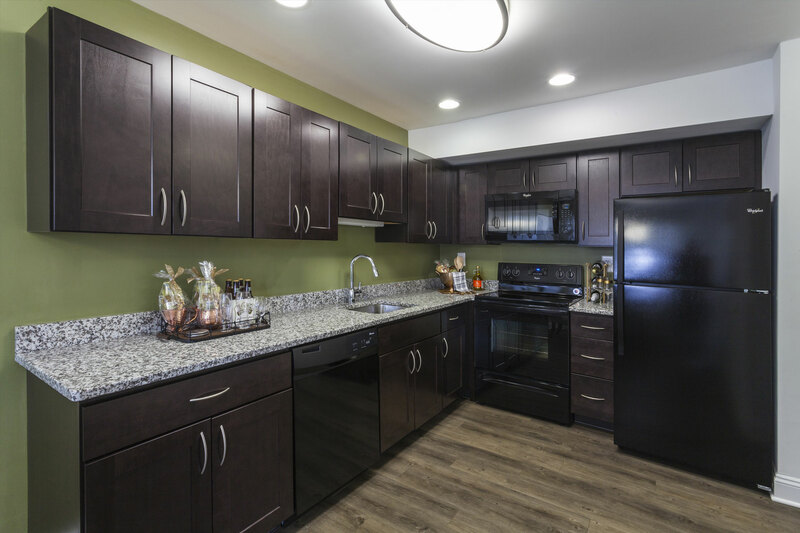 Regency Woods apartments are newly renovated townhomes with brand new kitchens featuring beautiful black whirlpool appliances as well as brand new bathrooms. These private entry Doylestown townhouse apartments feature hardwood flooring, in-home washers and dryers, and expansive walk-in closets for extra storage. Privacy and comfort are important to our residents, so all of our apartment homes have their own patio with privacy fencing as well as beautiful custom wood blinds. In-case of an emergency Regency Woods has 24/7 maintenance service for all residents. In addition to home comfort, our community features a sparkling swimming pool to relax by in the warmer months, as well as a nice playground and grilling area for outdoor entertaining. 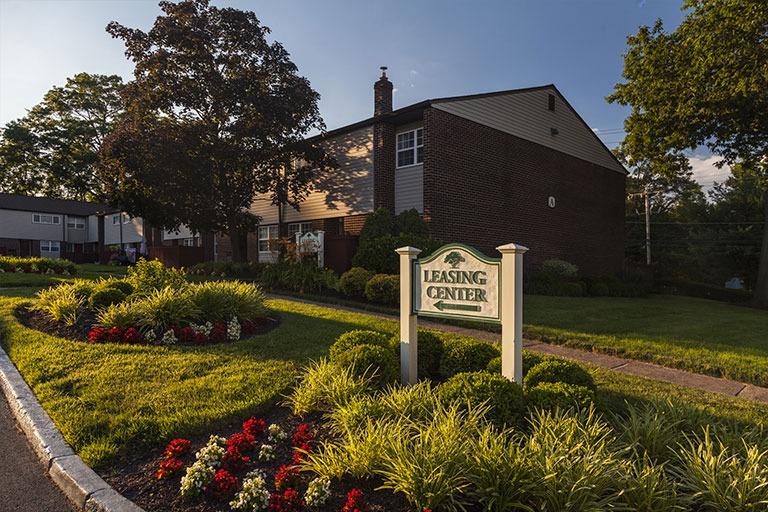 Outside our beautiful landscaped apartment community, you are conveniently located near a number of great schools and universities, as well as Doylestown Hospital which is just seven minutes away. Your commute to the top employers in Doylestown is made much simpler while living here. Our location is ideal for someone looking for the convenience of city living and the comforts of a small town. Make Regency Woods apartments your new home today, give us a call to schedule a tour! Our Doylestown apartments are beautifully renovated townhomes with amazing new kitchens featuring dark cabinetry, black Whirlpool appliances, granite countertops, and spectacular hardwood floors. 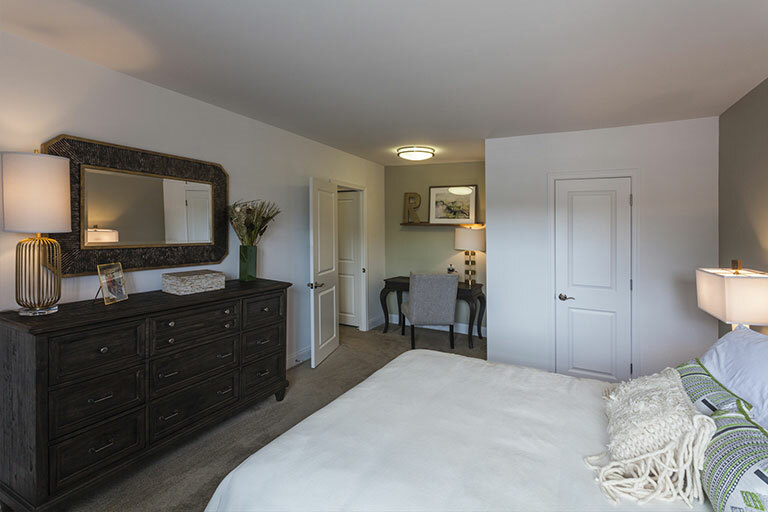 Regency Woods also has plush wall to wall carpeting, large closets, and brand-new bathrooms with slate floors for a wonderful updated modern touch. Each home has a private entryway with its own washer and dryer right in the comfort of your home. Our resident’s home comfort is important to us, you’ll love living at Regency Woods.